In June of 2013, in the midst of the Mariano Rivera retirement tour, I posted about one-team Hall of Famers and whether they were a dying breed in modern baseball. I figured that they were, that free agency had ruined the iconic “one team” home-town legend that we grew up knowing (especially in DC, with Cal Ripken Jr. just up the road). 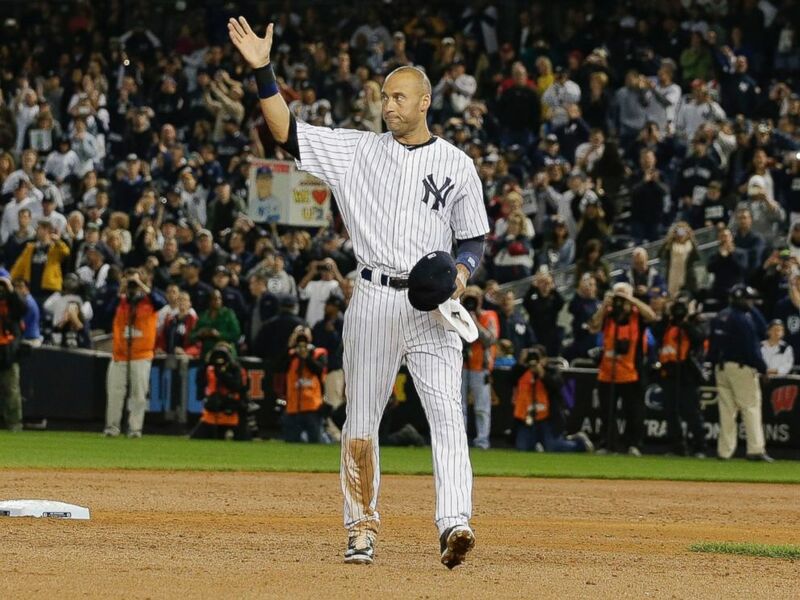 Now that Derek Jeter has wound down own his 2014 retirement tour, and the fact that we’ve seen some recent player movement that has eliminated some HoF candidates from being one-teamers, I thought this was a good topic to pick back up. Here’s a quick glance at the landscape of one-team Hall of Fame candidates in the game today. You have to think each of these three guys is a first ballot Hall of Famer, and each was a one-team guy. I’m not sure Helton will make the Hall; if Larry Walker can’t get in because people think his numbers were inflated by Colorado’s home park, then Helton will be in the same boat. His embarrassing, ridiculous DUI arrest in mid 2013 while driving to get lottery tickets (despite the fact that he has more than $160M in career earnings just in salary alone) certainly won’t help his case. If Verlander finished out his contract just being a 14-11 guy each year, he’d probably end up with 250 wins to go with his Cy Youngs, MVP, and Rookie awards. People will remember how good a hitter Mauer is when the time comes. Yes, I think Utley is on track to be a hall of famer; he’s been hurt for so long that people have forgotten how good he is. No I don’t think Rollins is a HoFamer right now, but he deserves to be in this category not the “borderline” category. Now, not all of these guys are guarantees to stick with their current teams (especially McCutchen, who eventually cashes in on a big contract that Pittsburgh cannot afford), but for now this is the list. Almost all of these guys managed to be excellent players for huge-payroll teams, meaning that they can easily finish their careers without having to move on. Yeah I put Mike Trout on this list. Did you know that Trout already has as much career bWAR (28.3) by age 22 that Paul Konerko has for his entire 18-year career?? If Trout flamed out before the age of 30 he’d have the same case for inclusion that Sandy Koufax had, and he’d be in. I cannot see the likes of Rollins, Utley or Pedroia moving teams at this point; do you view Pedroia as a HoFame candidate? He’s got more than 40 bWAR by the age of 30, an MVP vote, two rings and a bunch of All-Star and Golden Gloves. These are all perennial all-stars, kings of the game, but none of them really screams out “Hall of Famer” right now. I may be slightly down on these guys (especially Hamels, who might be more than borderline right now). I’ve thrown Zimmermann in there thanks to his second stellar season in a row and his no-hitter; he’s likely to have another top 5 Cy Young finish in 2014 and with a few more such seasons he may put himself into the conversation. Of course, the odds are that he departs the Nats after 2015, so he may be off the list anyway. I used to think Zimmerman was on track, especially after his monster 2009 season. Now I think he’s destined to be just a middle of the order solid hitter on teams with better hitters surrounding him. Think Scott Rolen. Braun may be one of the best players in the NL, but getting caught with PEDs not once but twice will prevent him from ever being enshrined no matter what kind of career he puts together. The fall-off of the San Francisco duo of pitchers speaks for itself; what the heck happened to Lincecum? Similarly, Weaver now looks like a guy who peaked during his expected peak years and now is settling into being a slightly better-than-average pitcher. Fair? Maybe not, but his ERA+ for 2014 is 104; not exactly Kershaw-territory. I’m not saying all these guys are HoF locks right now, just that they’re top players who have made big moves recently to break up a string of years with one team. Conclusion? I think there’s plenty of one-team candidates out there. So no, one-team hall-of-famers aren’t going to be a dying breed. Teams are locking up their marquee players to long-term contracts earlier and earlier, meaning the likelihood of having big-name one-team players present their cases to the voters is that much higher in the modern baseball climate. Did I miss anyone worth talking about? We started looking at DC-local draft prospects early this spring with a comprehensive pre-season review of all local draft prospects. Then at mid-spring season we took at look at just the best local prospects. Now that the Rule 4 draft has occurred, lets talk about some of these big-time names from DC/MD/VA and who went where. I’ll list these players with local ties in the order they were drafted, which it should be noted, turned out to be vastly different from their pre-draft ranking order. Like with other posts, I’ll put in rankings for the player from four reputable ranking sources pre-draft for prospects: Keith Law, Baseball America, MLB.com and MinorLeagueBall (though, as we’ll see by the rankings below, I’m not sure I think MinorLeagueBall’s rankings are worthy; they’re *way* off on some players who went in the upper rounds). After the 10th round, we’ll just focus on “name players” or high schoolers who got previous mention; lets be honest, the odds of a high school star being bought out of his college commitment drastically drops after just the first few rounds. Editor’s note: post-signing deadline I updated this with signing status and bonus for first 10 rounds of picks. Actual bonus tracker from MLB.com here, slot values for each pick here. The MLB Draft Tracker is the best tool out there for finding info on players and is used heavily here. 1st Round/#19 overall by Cincinnati: Nick Howard, UVA rhp reliever (Law #63/BA #25/MLB #31/MinorLeagueBall #40). Jim Callis reports that Howard’s stock was rising fast ahead of the draft, and MlbDraftInsider predicted an early 2nd round pick for Howard. Shocking everyone, he went right after the Nats picked at #19 in the first round. A surprise pick; he was projected to be just the third UVA player selected and perhaps a 2nd rounder. He was a Sunday starter for UVA but moved to the bullpen in 2014 and showed a significant strike-out tool (he had a 15.88 K/9 rate on the year, albeit in just 28 innings closing games for UVA). I wonder if Cincinnati is thinking they can move him back to a starting role, because drafting a reliever this high is (in some pundit’s minds) a waste of a first round pick. Signed for $1.995M, $100k under slot. Supp-1st Round/#37 overall by Houston: Derek Fisher, UVA OF (#15/#31/#26/#31). Keith Law video breakdown. Law predicted back of first round despite his ranking him as the 15th best prospect. Scout.com predicted the same. MlbDraftInsider predicted mid-first round. They were all wrong; Fisher lasted until the mid supplemental 1st round, and odds are that Houston got a steal of a player here. Fisher’s production was hampered by a broken hamate bone this season, causing him to miss time and lose power, so this pick was projecting his excellent sophomore season. I think Houston will find a quick-to-the-majors corner outfielder who can slot nicely into a #2 or #6 slot. Signed for $1.534M, exactly slot. Supp-1st Round/#38 overall by Cleveland: Mike Papi, UVA 1B/OF (#43/#43/#45/#81. Keith Law video breakdown. Law predicted mid 2nd round. MlbDraftInsider predicted early 2nd round. But Papi’s strong finish clearly jumped him on Cleveland’s board, who nabbed him in the supplemental first round. He profiles as a professional hitter, lots of line drives, lots of walks (I think of Nick Johnson). Signed for $1.25M, about $250k under slot. 2nd Round/#45 overall by Chicago Cubs: Jake Stinnett, SR RHP from U of Maryland (#51/#67/#72/#213??). Stinnett clearly made himself a ton of money with his showings at the ACC tournament (8ip, 3 ER and 10ks versus UVA) and the CWS regional (8ip, 3runs against ODU). He is the first college senior off the board, to a team (the Cubs) that is trying to rebuild itself, so one may wonder if this is a pre-negotiated/below-slot deal with a guy who won’t have a ton of leverage so that the Cubs can throw extra cash later on. Either way, Stinnett was likely to go in the 2nd round regardless, so the Cubs don’t do much of an over-draft here. Signed for exactly $1M, about $250k under slot. 3rd round/#78 overall by Chicago Cubs: Mark Zagunas, C from Virginia Tech ((Law out of top 100/#111/#149/#106). Zagunas profiles as a Jason Kendall like catcher; good defense, contact hitter who doesn’t strike out a ton. But Law thinks he projects as a backup catcher and thinks this is a bit of an over-draft. No matter; Zagunas became one of the first players to sign when he took an under-slot deal over the weekend. Signed for 615K, about $100k underslot. 3rd round/#83 overall by Toronto: Nick Wells is a LHP from Battlefield HS in Gainesville (Law out of top 100/#119/Out of MLB’s top 200/#343) who has a College of Charleston commit and who sits low-90s on the gun. He’s popped up from being just a good HS pitcher to being a potential 3rd-4th rounder. Slot is $661k. Might be signable; that’s a lot of money. Battlefield lost in the 6-A north regional quarters to McLean; i’m not sure which game Wells pitched (perhaps their first round game, a 4-0 win). UPdate: named to Baseball America’s 2nd team All-American team for 2014. Signed for $661k, exactly slot. 4th Round/#111 overall by Seattle: Ryan Yarbrough, a senior LHP from ODU (na/#407/na/na) who I hadn’t seen on any pre-draft rankings. I was surprised to find him at least on BA’s list. He was a weekend starter (some Friday, some Saturday) for ODU this year but struggled to a 6-7, 4.50 ERA on the season. In the CWS regional he pitched in relief in the first of their two-and-out losses to Maryland. No offense to Yarbrough, but a 4th round senior draftee (slot value $471k) who likely is an org-arm more befitting of a mid-20s round pick looks like a complete money-saving move by Seattle to free up cash for other picks. Signed for just $40k, more than $430k under slot. Seattle went WAY over-slot with its 1st rounder and supp-2nd rounder and needed to make up for it with a ton of under-slot guys. 4th Round/#116 overall by Milwaukee: Troy Stokes from Calvert Hall College in Baltimore (na/#316/na/#260). He profiles as an undersized lead-off/CF and is committed to Maryland. I can see him signing for slot frankly based on this draft position. Maryland loses a recruit that could have really helped them. Signed for $400k, about $50k underslot. 4th Round/#127 overall by Tampa Bay: Blake Bivens is an RHP from George Washington HS (aka GW-Danville near the NC border) (na/#124/na/#140). He’s committed to Liberty but has been consistently 90-93 on the gun with reports of good secondary stuff. Projected as possible 3rd-4th rounder and indeed that’s where he went. GW-Danville is a 4-A school that got upset in their conference semis, hence his absence from the prep radar. His slot value is $404k; is that enough to get him out of going to Liberty? I would think so, even given Liberty’s run to the CWS this year we’re not talking about a big-time program (though, that being said, I don’t know jack about Bivens personally, and he might be quite religious, which would explain his commitment to small-school liberty despite his talents). Named to Baseball America’s 3rd team all-american. Signed for $462k, about $60k above slot. 7th Round/#213 overall by Kansas City: Brandon Downes, CF from UVA. I’d accuse this of being a money-saving senior sign draft pick, but Downes is a junior. Slot is $176k; if he gets slot he may sign. That’s a lot of money. Signed for $150k, about $25k under slot. Not bad for a senior sign. 7th Round/#222 overall by Oakland: Brandon Cogswell, ss/2b from UVA (na/228/na/268). MLB’s profile projects him as either a 2nd baseman or a utility guy professionally. I wonder if he’ll sign; slot figure is $164k and he’s a college junior. Maybe this is a peak for him. Signed for $200k, about $35k over slot. 8th/#226 by Houston: Bobby Boyd, an undersized junior CF from West Virginia U (not ranked on any list) but who hails from Silver Spring and who went to St. Johns. Completely unnoticed by any pre-draft ranking team; is this a punt of a draft pick? .356 average (good) but just a .389 OBP (bad … just 10 walks all year). Signed for $140k, about $20k under slot. 8th/#250 by Detroit: Artie Lewicki, UVA’s mid-week/4th starter who got a ton of work in the ACC and regional tournaments. A nice senior draftee for Detroit. Signed for $60k, about $90k underslot. 10th and 14th rounds: the only two JMU players were taken; Ty McFarland and Chris Huffman. McFarland is a senior third baseman and son of the longtime JMU coach Spanky McFarland while Huffman is a junior RH who may opt to return in hopes of a bigger bonus next year. 15th/#454 by Washington: Ryan Ripken, 1B from Indian River CC but more famous for being the son of Cal Ripken, Jr. You can’t help but make mention of this pick, not only because it was the Nats, but because of who it is. I can’t find much of any scouting reports on the guy. MLB.com has a story with some more data. 17th/#540 by Washington: Alec Keller, a senior CF out of Princeton but who went to Douglas Freeman in Richmond. I had never heard of Keller, but then again I didn’t really start following prep baseball closely until recently. Of interest; perfectgame lists him at 5’6″, 110lb but mlb.com lists him at 6’2″, 200lbs. That’s one heck of a college growth spurt :-). I hope Keller gets some playing time in Viera and earns another summer of pro ball. 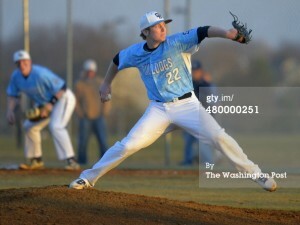 20th/#600 by Arizona: Jacob Bukauskus, RHP from Stone Bridge HS in Ashburn. Keith Law video breakdown. The local area’s top ranked prospect, projected as a mid-to-late first round pick, goes 600th overall. Bukauskas had informed all interested teams that he’s honoring his commitment to UNC. the thought was that a team might draft him early 2nd round and offer him a huge-overslot deal (as Law thought would happen, with a potential $2M bonus). Alas it did not, and this 20th round pick seems like a waste of a pick frankly. In late May he was named the Gatorade State player of the year. Baseball America 1st team All-American for 2014. Stats for the season: 7-0, 0.00 ERA. Word came out during the regional tournament that Bukauskas was being shut-down due to shoulder tendinitis; this likely was the reason he didn’t get drafted earlier. It looks like he’s getting his wish and going to school. UNC must be ecstatic. 20th/#614 by Boston: Devon Fisher is a catcher from 6-A south champions and state favorite Western Branch HS (Portsmouth). UVA commit. Projects as a 4th rounder, not picked til the 20th. Another likely victim of the new draft rules; in years past a saavy team like Boston would just throw $1M at him in the 20th and he’d sign. Instead UVA likely gets a big-time player coming to school. Update: Fisher signed with Boston instead of going to UVA. 21st/#634 by Washington: Connor Bach, SR LHP from VMI. I had no recollection of him previously, but NatsGM Ryan Sullivan reports that he played in the Cal Ripken league and left an impression. 22nd/#675 by St. Louis: Derek Casey is an RHP from Hanover HS (Mechanicsville) with a UVA commit. 93-94 on the gun. Projects as possible 3rd rounder. Casey led Hanover to the 2013 AAA Virginia state title and Hanover is the favorite to win the 4-A title this year. Another great sign for UVA; Casey likely is going to school. 32nd/#958 by San Francisco: Hunter Williams is a two-way lefty player from Cosby HS in Chesterfield, VA who has skills both on the mound at at the plate. He’s limited to first base in the field, which may make it tougher for him to get drafted and developed. 91 on the gun. UNC commit, it should be interesting to see which way he focuses. Projects as a 4th-5th rounder. 35th/#1050 by Arizona: Justin Morris is a C from DeMatha HS who plays for the 2013 PerfectGame national champions EvoShield Canes traveling team (east-coast based travel team with a ton of big-time names matriculating these days). He’s a Maryland commit but didn’t improve his draft stock much throughout the year. He was #295 on minorleagueball’s pre-season list but doesn’t get picked until garbage time in the draft. Pre-season PG all-Atlantic 1st team. 35th/#1054 by Washington: Flint Hill’s Tommy Doyle, a UVA commit who I didn’t think was a draft prospect, but who the Nats picked up in the 35th round likely to curry favor to a local interest. 40th/#1096 by Milwaukee, Taylor Lane, a shortstop from Chesapeake but attending HS in Florida at the IMG academy. Florida commit. Charlie Cody is a 3B from the same Great Bridge HS in Chesapeake that just graduated Connor Jones. He’s committed to UVA. His stock seems to have dropped this spring and he’s joining Jones at UVA; he did not get picked at all. Jeff Harding is a senior RHP from the Cambridge-South Dorchester school that just made it to Maryland 1-A’s state semis (after winning the title last year). He’s committed to South Carolina. I thought he’d at least get a late-round courtesy pick, but I guess not. Brodie Leftridge is an OF from Highland MD who played for St. Johns in DC with a Tennessee commit. Zach Clinton is a RHP from Forest, VA, plays for Liberty Christian HS (the Virginia state private schools champ) and is committed to Liberty. On 5/27/14 he was named the co-state player of the year for private schools (along with Tommy Doyle). No love from MLB teams though; he went undrafted and looks like he’s heading to his home town college. Hunter Taylor, a C from Nandua HS in Olney, VA. Named to the Baseball America 2nd team all-American list, was not drafted. Committed to South Carolina. Pavin Smith is a big lefty 1B/OF two-way player from Florida who will attend UVA after not signing. It seems like he could slot right into the departing Mike Papi/Derek Fisher lineup holes. Bennett Sousa is a LHP from Florida who now will attend UVA. 93mph, seems like he will slot into their rotation in a year’s time. Summary: UVA has a ton of players drafted (no less than 8, and 7 of them likely are signing). But they have a ton of commits from major names who didn’t get drafted and/or who got drafted so late that they stand little chance of signing. Devon Fisher, Derek Casey, Tommy Doyle and Charlie Cody are all UVA commits likely going to school. UNC also makes out like a bandit, getting both Bukauskas and Williams to school. And Maryland looks like it will get at least two very decent players coming to school in Morris and Harding. Here’s the first round draft order for the 2014 draft. Nats pick #18th. Detailed first round order (and why teams gained or lossed picks) from Bill Chuck on GammonsDaily.com. Allmetsports.com DC area Baseball signing status for all notable local players. BaseballAmerica’s Draft Preview with write-ups on top 200 players. Furthermore for subscribers they have a top 500 list and Links to final college stats of all BA top-200 players. Keith Law‘s Mock Draft and top-100 list. (espn insider only). MinorLeagueBall’s Matt Garrioch’s top 350 draft prospects. But more importantly his Mid-Atlantic draft preview, a great resource with home towns and college commitments of all DC/MD/VA players. MLB.com’s draft central home page, which includes the incredibly useful Draft Tracker database, which lets you search for players by Name, position, home state, school, etc. Yahoo’s Jeff Passan obtained copies of the letters MLB sent both to agents and teams, describing the “rules of behavior” agents and teams are supposed to follow. Draft Slot assigned bonus values per BA for the first 10 rounds. After round 10, every subsequent spot has a slot value of $100k. Here’s a link to the total bonus pool per team: Nats are at $5.275M for the whole draft. Quick link to the college stats of BA’s top prospects. d1baseball.com as an entry point to get to any college’s statlines. MinorLeagueBall review of undrafted/unsigned prep players and their outlook for the 2017 draft. [Editor’s note: I wrote this nearly two weeks ago and forgot to publish it. Since Oct 23rd, obviously we’ve hired a manager and crowned a WS champion. So some of this may sound dated. In fact, the first two questions are about a topic that’s already been settled]. While we wait for the beginning of what looks to be a classic World Series (a rare time when both #1 seeds make the series), Bill Ladson pops up with the latest edition of his mailbag, dated 10/23/13. Without a manager and with interviewee names swirling, lets see what the tenor of the questions is on mlb.com. As always, I write my answer here before reading Ladson’s and edit questions for clarity if needed. Q: Do you think Dusty Baker has a shot at becoming the manager of the Nationals? A: Nope. I think Dusty Baker‘s demonstrated obstinance to any modern baseball strategy will prevent him from working for Mike Rizzo. Rizzo isn’t exactly Mr. Sabrematrician GM, but he seems to know which way the tides are going in the baseball industry (as opposed to, say, Philadelphia’s Ruben Amaro). Baker may be bound for the broadcast booth come 2014 and beyond, along side other stubborn old-school baseball people like Joe Morgan and Tim McCarver who seem determined to continue the historical narratives of the game. What are Baker’s primary sins? Stubborn adherence to the save statistic with Aroldis Chapman, over-use of the bunt, no defensive shifting imagination, and lineup mistakes involving the #2 hitter. Ladson doesn’t criticize any of Baker’s moves, just notes that the Nats want someone younger. Yes there’s that too. Q: What are the chances of Cal Ripken Jr. managing the Nats? A: Apparently as slim as Baker’s. 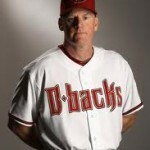 Rizzo (for better or worse) likes his Arizona connections, and that’s why I think it’ll be Matt Williams. I know that Tom Boswell wrote a fierce rebuttal in either a chat or a column to those who think Ripken is not “qualified” to be a manager … but I still tend to think that modern baseball managers need a maturation time no matter how much time they played or how good they were. Ryne Sandberg toiled in the minors for years before getting his shot, Williams is a bench coach, Don Mattingly was Joe Torre‘s bench coach for years. Its kind of the same reason why I don’t think player-managers will ever work again in the Majors; the job is too specialized these days to just put some veteran out there and ask him to do both roles. Ladson says no-go on Ripken. Q: When do you think Rizzo will finally give Ian Desmond a long-term contract which he deserves? A: Good question. Ian Desmond‘s two consecutive 4 bWAR seasons have probably increased his FA market cap about 10 times over. You’d be hard pressed at this point to compare Desmond to Elvis Andrus (he of the 8yr/$120M contract) and not finding them to be equals. Its a balancing act; in April of 2012 this team was wondering if Desmond was going to be released. Now, two great seasons later we’re wondering if we can get him to sign for “just” $100M. My theory on baseball team construction says that you need to lock up your “spine.” If you have quality players at Catcher, (Starting) Pitcher, Shortstop and Center Field, you lock them up and then fill in around them. Because good two-way catchers, short stops and CFs are the hardest positions to lock up. So for me, I want Desmond locked up for the long haul. Ladson thinks this will happen before or during Spring Training. Q: I know the Nats insist the offense is set for next year, but do you see any possibility of the team pursuing a big name like Robinson Cano to help improve the offense? A: Maybe, but I doubt it. Robinson Cano‘s salary demands given the current state of the game (where draft picks are cherished and teams show they can make the playoffs by building from within on a budget) and the clear mistakes that recent massive deals for aging sluggers (Albert Pujols, Josh Hamilton being exhibits A and B) will likely make teams shy away from his contract demands. The Nationals have to be looking at their current payroll (two 9-figure deals already), look at who they’re going to have to pay in the next few years (Desmond, Zimmermann, Harper, and Strasburg leading the way) and should be thinking to themselves … would we be better served with the low-budget Anthony Rendon versus breaking the bank on Cano? I would be saying that, and I’d imagine most every other team out there is as well. I think Cano slinks back to New York for great money, but nothing like $300M. Ladsons hedges; anything is possible. Q: I look around with envy at the Braves and Cardinals with their young fireballers. After Henry Rodriguez left, it seems as if the Nationals do not have any relievers who fit that role. Are they in the Minors, and if so, how long until they can contribute? A: Lord, I think that’s the first time I’ve ever heard someone complain about the team releasing Henry Rodriguez. The Braves have a lot of firepower … but not in the rotation you’ll note. Medlen, Hudson, Minor and Maholm all were relatively softer tossers. Meanwhile the Nats placed three guys into the qualified top 17 starters in terms of average FB velocity. So don’t sleep on the Nats. I’d rather have velocity in my starters versus relievers. However I will note that only Drew Storen ranked in the top 50 of relievers in FB velocity this year … whereas the Braves had a couple guys in the top 10. The Cardinals are who they are; the best (or 2nd best with Tampa) franchise in the game for producing pitching. They’re the envy of every franchise. But Rizzo is trying; he’s drafted a TON of pitching over the past few years, he’s focused on power arms when he could, and there’s a lot of decent starters rising in our system as we speak. Not all of them are going to stick as Starters, so we could get more power arms into the bullpen. Consider Nathan Karns; in his MLB debut on 5/28/13 he averaged 94.4, hit 97.1 as a peak, which would easily put him on page one of MLB relievers. So help could be coming. I cannot think of a big-time, known hard-thrower off-hand; the MPH readings we get from the minors are so spotty. Ladson reports that A.J. Cole, Blake Treinen, Jake Johansen and Jefry Rodriguez as profiling as hard-throwers in the near 100 mph range. Q: With Michael Morse available as a free agent next year, would the Nats consider bringing him back? A: I know this is a common refrain among fans, but after his departure and after seeing what he’s done in the outfield (he was absolutely *awful* in 2013; in 456 innings in RF he posted a -33.1 UZR/150. Wow), I believe Michael Morse belongs in the AL as a 1B/DH type. I can’t see him taking a bench role, not after hitting 30 homers just two seasons ago. I can see him taking a low-cost deal to DH somewhere and try to rebuild some value. Ladson agrees. Phew. I was running out of things to talk about lately. Well, other than the ridiculous John Feinstein article this week or perhaps a missive on what a bunch of a-holes the Atlanta Braves seem to be. The federal end of year cycle has consumed all my time recently, so I’ve been late to post end-of-season minor league pitcher reviews. We’ll get there; its a long winter. But thankfully a gift arrived via an unexpected Bill Ladson inbox dated 9/26/13. Lets see what questions Ladson took this time around. As always, I write my response here before reading his and edit questions for clarity. Q: How disappointed were you in the 2013 Nationals? A: Not so much disappointing as frustrating; when you’ve claimed “World Series or Bust” and your team isn’t gelling correctly, why not try to do more to fix the problem mid-season? What was the sum total of the changes this team tried to make after it was clear the team was consistently playing .500 ball? Replace a hitting coach? Demote a couple guys who deserved demoting? Trade for a 25th guy/bench player? I dunno. Why massively increase payroll and sign luxury players like $15M closers and then do nothing when the team is clearly mired in a malaise for 4/5ths of the season? Ladson says he was disappointed too. Q: What do you consider the team’s greatest need in the offseason? A: A better question may be this: where *can* you upgrade this team as it sits now? There’s not a single starting fielder who is a FA or who really needs to be replaced. The two worst performing hitters (Span and LaRoche) are both under contract for 2014. I’ve already seen quotes that say that Rendon will have “competition” for 2nd base next spring; from who exactly? Lombardozzi and his 68 OPS+ or Espinosa and his 27 OPS+? Right. How about the starters? The 3 main guys are not going anywhere. Getting rid of Detwiler would be selling very low. It seems clear from the FA market and from the Haren experience that the team should have a #5 starter competition between Roark, Jordan and Karns. How about the bullpen? Not really; maybe you tweak it and find a 5th or 6th guy who may pitch better than Mattheus did this year, but by and large the bulk of it already seems set (Soriano, Clippard, Stammen all seem like locks, Storen will be given a chance to rebound, one from Ohlendorf/Roark probably fits in nicely as a long-man, and your lefties Abad and Krol have both been good). So you’re left with bullpen scrubs and the bench. Not exactly high-impact spots to improve. I was talking about this with friends recently; one thing I’d do if I was GM would be to sign Shin-Soo Choo. He posted a .424 OBP with 21 homers for Cincinnati from the leadoff position this year. Career .389 OBP. You put him in LF (since his defense in center is atrocious) and install Harper in center where he belongs. Dump Span somewhere, anywhere. Instantly you get power and a significantly improved OBP at the top of your order. The knocks on Choo are that he’s older (30 this year), that he doesn’t hit lefties (true … but his OBP split versus lefties is STILL higher than Span’s season long OBP, even given the run he’s had the last 6 weeks), and that he’ll be expensive. A move like this likely never happens; Choo will command probably 4/$40M or more, and I doubt the team wants to pay him that much or block an OF spot given the guys coming up. I wonder if we’re not going to see something bigger and unexpected happen. A big trade that opens up a spot and lets the players move around. Or a big FA signing that forces a trade of one of these entrenched players. Because otherwise its hard to see how this team dramatically improves this off-season. Ladsons says the team needs dependable loogies, bench and the back of the rotation. Safe, obvious statements. Q: Do you think Adam LaRoche will be traded after this season? A: I don’t see it; I think LaRoche is a team favorite. Rizzo wants plus-defenders manning the positions and that’s how he views LaRoche. But here’s a dirty secret; LaRoche wasn’t that great this year defensively at 1st. His UZR/150 was negative, he was ranked 18th among first basemen with more than 500 innings at the position this year, and only slightly better than the very sedentary Ryan Howard and equally glacial Chris Davis on the year. And we have all seen his throwing arm; accurate but weak. But if you jettison LaRoche, who’s taking him after he hit just .230 this year? And who are you replacing him with? The FA crop is weak; who on that list would you want? Mike Napoli maybe? He can rake … but he also probably earned himself a ton of dough with his performance in Boston this year. Ladson says LaRoche is going nowhere. Q: Why don’t the Nationals sign Michael Morse? He has been injured, and they could get him for a cheap price. A: …. and they’d play him, where exactly? He can play left field and first base, and last time I checked we’ve got those positions covered. I like Michael Morse like every one in DC else but he was *awful* this year. And he picked an awful time to do it; age 31, in a contract year, playing in the relative media obscurity of Seattle. If he had just hit a couple bombs down the stretch for Baltimore, maybe that would have helped. Now you have to wonder if he’s just looking at a minor league deal. Would the team consider him for a bench role? Probably not, he likely still considers himself a starter and may not handle the bench well. Ladson says it isn’t happening. Q: Is Cal Ripken Jr. managing the Nats next year just a rumor or a realistic possibility? A: Just a rumor. What experience does Ripken have managing? He’s not like other former players like Don Mattingly (who cut his chops watching the great Joe Torre for years in New York) or Ryne Sandberg (who worked his way up the minors and earned his job in Philadelphia). I’d be worried about him being completely out of his element. 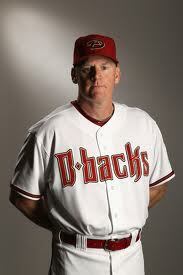 What proof is there that he can handle a pitching staff or manage a game? Give me a serious, experienced, no-nonsense guy to manage this team and get the guys in line after this year’s season-long drift. Give me Matt Williams. Ladson says it isn’t going to be Ripken. Q: Do the Nats have any interest in signing Robinson Cano? A: Not at these prices; he reportedly wants 10yrs/$305M!! And already turned down 6/$144M. Phew. I wouldn’t pay him $24M/year in his decline years. He’s no doubt a great player; is he that good? Whoever signs him (Dodgers?) is going to really, really regret any deal longer than 6 years. Well, unless it IS the Dodgers, who may make a complete mockery of the game in the next few years in terms of payroll. Fun fact: The Dodgers already are committed to $165M in payroll next year … for just ELEVEN players. They still have to handle arbitration for Clayton Kershaw (who may command $20M) and fill out the rest of the lineup. Ladson also mentions this contract demand. Q: How about Jayson Werth as player-manager next year? It worked for the Senators, after all, with Bucky Harris and Joe Cronin. A: Well, if we don’t Cal Ripken can manage, what makes you think Werth has any such qualifications either? Baseball has come an awfully long way from the days where teams thought a player/manager was a workable idea. Now a-days, the money involved and egos involved almost necessitate an experienced, veteran guy for nearly every team. Ladson thinks Werth would make a great manager. Q: What do you think is the main cause of the Nats’ struggles this season, and do you think they will be better next year? A: (see upcoming blog post that I’ll hit “publish” on when the season is over). Ladson says in order injuries, bullpen, bench, and St. Louis. Q: At this point, how would you handicap the likely 2014 Nats managerial candidates? A: Who knows. Is this really the pressing issue on the minds of Nats fans like Ladson makes it out to be? Somehow I don’t think its going to be anyone on the current field staff (sorry Randy Knorr). I think it will be either a big-name manager who gets the axe this off-season unexpectedly (Mike Scioscia or Joe Girardi would be decent choices) or a former player that Rizzo knows (which is why I keep coming back to Matt Williams). Ladson says Knorr is the leader but also mentions Williams and Trent Jewett. 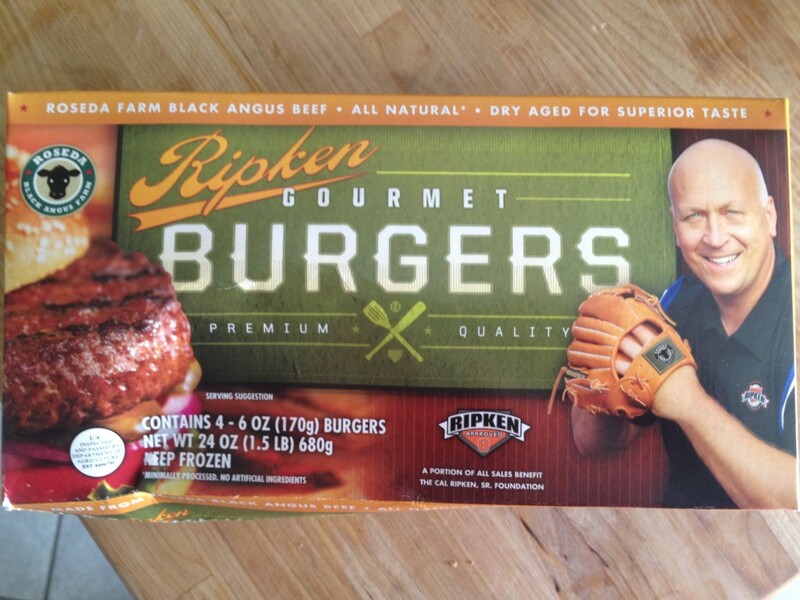 Because when I think of frozen burger patties, I think of Cal Ripken Jr. I was shopping at Giant over the weekend and did a double-take in the frozen food aisle. 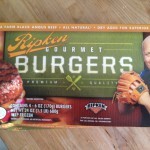 Did you guys know that Ripken is hawking a line of burgers? I didn’t. A bit of google work shows that they’ve been on the market since May of 2012. Are players from the 1980s under-represented in the Hall of Fame? First off: I’m not a “small hall” guy. (How can you, when looking at the litany of obscure players the Veteran’s Committee has already enshrined while the current ballot has literally a dozen names that you can make an argument for?) So naturally I want to see enshrinement for a larger number of the “marquee” names in baseball’s history. I view the Hall of Fame as a museum dedicated to the game, and recognizing all the eras of the game for better or for worse. I’m for expanding the current ballot and If I had a vote i’d be maxing out the 10 names with a desire to put a couple more guys on. I’m also distinctly of the opinion that maybe the era of baseball just prior to today’s is underrepresented in Cooperstown. Specifically, my theory is that the massive boom in offense that the game has seen in the last 20 years coupled with a distinct shift in the way pitching staffs are managed has led to voters and fans to discount and dismiss the accomplishments of players specifically from the 1980s. MLB.com has a show called “Prime 9,” where they list the best 9 players/teams related to certain topics. Recently they showed the “Best 9 players of the 1980s” by position, and it led me to use that list as a starting point for a discussion of marquee players from the 1980s and to decide whether or not the decade is under represented in Cooperstown. Here’s Prime 9’s top player by position and their Hall of Fame status. Throughout this entire article, Blue == Hall of Fame players while Red == non-Hall of Fame Players. RF: Dwight Evans: fell off HoF ballot on his 3rd attempt in 1999. Max votes: 10.4% in 1998. CF: Dale Murphy: fell of HoF ballot on his 15th attempt this year in 2013. Max votes: 23.2% in 2000. LF: Rickey Henderson: 1st ballot HoFamer in 2009 with 94.8% of the vote. SS: Cal Ripken Jr: 1st ballot HoFamer in 2007 with 98.5% of the vote. 3B: Mike Schmidt: 1st ballot HoFamer in 1995 with 96.5% of the vote. 2B: Ryne Sandberg: 3rd ballot HoFamer in 2005 with 76.2% of the vote. 1B: Don Mattingly: on current ballot, his 13th attempt. Max votes: 28.2% in 2001, his first year on the ballot. C: Gary Carter: 6th ballot HoFamer in 2003 with 78% of the vote. SP: Jack Morris: on current ballot, his 14th attempt. Max votes: 67.7% this year. Four of the Nine players listed as “Best of the Decade” are not in the Hall of Fame. I think there’s something wrong here. I know Morris is incredibly polarizing and probably never gets in, while the other three guys (Evans, Murphy, Mattingly) each had knocks against them related to durability and peak that prevented them from being enshrined. Perhaps these are future Veteran’s committee picks. I know the above list is arguable; perhaps those players aren’t necessarily the “best” at their positions for the decade. So lets talk about the leading candidates per position who didn’t make the Prime-9’s list, and their own HoF status. The MLB show didn’t distinguish between SP and RPs so I’ve separated them out below, nor did they distinguish between the OF positions like they did for the team selected above. I’ve included the guys in the above “Prime 9” list in the lists below for ease of analysis by position. (Coincidentally; as you read the vote percentage totals, keep in mind that a voting percentage of less than 1% means that the player got only a handful of votes from the 500+ votes tallied each year, a woefully small number). Dwight Evans: fell off HoF ballot on his 3rd attempt in 1999. Max votes: 10.4% in 1998. Dale Murphy: fell of HoF ballot on his 15th attempt this year in 2013. Max votes: 23.2% in 2000. Rickey Henderson: 1st ballot HoFamer in 2009 with 94.8% of the vote. Andre Dawson: 9th ballot HoFamer in 2010 with 77.9% of the vote. Tim Raines: on current ballot, his 6th attempt. Max votes: 52.2% this year. Dave Parker: fell of HoF ballot on his 15th attempt this year in 2011. Max votes: 24.5% in 1998. Fred Lynn: fell off HoF ballot on his 2nd attempt in 1997. Max votes: 5.5% in 1996. Kirk Gibson: fell off HoF ballot on his 1st attempt in 2001 with only 2.5% of the voting. Dave Winfield: 1st ballot HoFamer in 2001 with 84.5% of the vote. Kirby Puckett: 1st ballot HoFamer in 2001 with 82.1% of the vote. Tony Gwynn: 1st ballot HoFamer in 2007 with 97.6% of the vote. Pedro Guerrero: fell off HoF ballot on his 1st attempt in 1998 with only 1.3% of the voting. Jim Rice: 15th ballot HoFamer in 2009 with 76.4% of the vote. Daryl Strawberry: fell off HoF ballot on his 1st attempt in 2005 with only 1.2% of the voting. Jack Clark: fell off HoF ballot on his 1st attempt in 1998 with only 1.5% of the voting. Andy Van Slyke: fell off HoF ballot on his 1st attempt in 2001 without receiving a single vote. This makes for 16 total outfielders on the “Best of the decade” list. Of those 16 outfielders, 10 are not in the Hall of Fame. Would you say that the position is under-represented in the Hall if only 6 outfielders from an entire decade of the sport are enshrined? Maybe, maybe not. To say nothing of the fact that 2 of these 6 HoFame 80s outfielders (Rice and Dawson) were heavily criticized upon enshrinement for being voted in based on remnants of “old man” statistics. Jack Clark you say? 50 Career WAR. That’s nothing to shake a stick at. Higher than a number of Hall of Fame hitters. I remember him being more of a power hitter than he turned out to be. He just couldn’t stay healthy; only 5 seasons where he played close to a “full season” in 18 years in the league. I remember him fondly from my childhood; my family is from San Francisco and I always rooted for the Giants as a kid. Cal Ripken Jr: 1st ballot HoFamer in 2007 with 98.5% of the vote. Ryne Sandberg: 3rd ballot HoFamer in 2005 with 76.2% of the vote. Garry Templeton: fell off HoF ballot on his 1st attempt in 1998 with only 0.4% of the voting. Ozzie Smith: 1st ballot HoFamer in 2002 with 91.7% of the vote. Alan Trammell: on current ballot, his 12th attempt. Max votes: 36.8% last year. Robin Yount: 1st ballot HoFamer in 1999 with 77.5% of the vote. Lou Whitaker: fell off HoF ballot on his 1st attempt in 2001 with only 2.9% of the voting. Dave Conception: fell of HoF ballot on his 15th attempt this year in 2008. Max votes: 16.9% in 1998. Lots of baseball pundits have lamented Whitaker’s fate, while plenty others vociferiously argue for Trammell, who had the misfortune of being both the 2nd best offensive SS (to Ripken) and the 2nd best defensive SS (to Smith) of his era simultaneously, thus being overshadowed by both. Conception was about an equal at the plate to Ozzie Smith but only about half the Gold Gloves, but still seems like he deserved a bit more credit than he got in the voting. Mike Schmidt: 1st ballot HoFamer in 1995 with 96.5% of the vote. Wade Boggs: 1st ballot HoFamer in 2005 with 91.9% of the vote. George Brett: 1st ballot HoFamer in 1999 with 98.2% of the vote. Paul Molitor: 1st ballot HoFamer in 2004 with 85.2% of the vote. Terry Pendleton: fell off HoF ballot on his 1st attempt in 2004 with only 0.2% of the voting. Tim Wallach: fell off HoF ballot on his 1st attempt in 2002 with only 0.2% of the voting. Buddy Bell: fell off HoF ballot on his 1st attempt in 1995 with only 1.7% of the voting. Four first ballot hall of fame 3rd Basemen played in the era (even if most consider Molitor primarly a DH later in his career) which is saying something considering there are only 12 full time 3rd baseman in the Hall from all of history. The all-star game starters for the entire decade were almost entirely Schmidt, Boggs and Brett. The others I fully acknowledge are “stretches” but did each have several all-star appearances during the decade. Don Mattingly: on current ballot, his 13th attempt. Max votes: 28.2% in 2001, his first year on the ballot. Steve Garvey: fell of HoF ballot on his 15th attempt this year in 2007. Max votes: 42.6% in 1995. Eddie Murray: 1st ballot HoFamer in 2003 with 85.3% of the vote. Keith Hernandez: fell off HoF ballot on his 9th attempt in 2004. Max votes: 10.8% in 1998. Mark McGwire: on current ballot, his 7th attempt. Max votes: 23.7% in 2010. Not much to say here: There seemed to be a definite lack of quality first basemen for the decade; only one is enshrined in the Hall. Many of the all-star 1B appearances early in the decade went to aging stars Rod Carew and Pete Rose, who by that point in their long careers had been moved to first base for defensive purposes. McGwire’s issues are obvious (and he’s clearly more well known for his exploits in the 1990s, so its arguable if he even belongs in this 1980’s centric discussion). Gary Carter: 6th ballot HoFamer in 2003 with 78% of the vote. Carlton Fisk: 2nd ballot HoFamer in 2000 with 79.6% of the vote. Lance Parrish: fell off HoF ballot on his 1st attempt in 2001 with 1.7% of the voting. Benito Santiago: fell off HoF ballot on his 1st attempt in 2011 with 0.2% of the voting. Darrell Porter: fell off HoF ballot on his 1st attempt in 1993 with zero (0) votes. Tony Pena: fell off HoF ballot on his 1st attempt in 2003 with0.4% of the voting. Bob Boone: fell off HoF ballot on his 5th attempt in 2000. Max votes: 7.7% in 1996. Terry Kennedy: fell off HoF ballot on his 1st attempt in 1997 with exactly one (1) vote. Yes, I’m really stretching for 1980s catchers. Basically Carter made the all-star team every year for the NL while Fisk made half the All Star Starts for the AL during the same time. The backups were generally catchers having a decent first half, many of whom never made an other all-star team. Boone was better than you remember, hence his hanging around the bottom of the ballot for a few years. Lee Smith: on current ballot, his 11th attempt. Max votes: 50.6% in 2012. Bruce Sutter: 13th ballot HoFamer in 2006 with 76.9% of the vote. Dennis Eckersley: 1st ballot HoFamer in 2004 with 83.2% of the vote. Rich Gossage: 9th ballot HoFamer in 2008 with 85.8% of the vote. Jeff Reardon: fell off HoF ballot on his 1st attempt in 2000 with 4.8% of the voting. Tom Henke: fell off HoF ballot on his 1st attempt in 2004 with 0.6% of the voting. Dan Quisenberry: fell off HoF ballot on his 1st attempt in 1996 with 3.8% of the voting. Kent Tekulve: fell off HoF ballot on his 1st attempt in 1995 with 1.3% of the voting. Willie Hernandez: fell off HoF ballot on his 1st attempt in 1995 with 0.4% of the voting. I’m not going to vociferously argue for Relievers/Closers to be inducted, since I think they’re mostly overrated in terms of their contributions to wins. But I will say that a couple of these guys were far better than you remember. Take Tom Henke: career 157 ERA+, which was better than either Sutter or Gossage PLUS he had more career saves (311 for Henke compared to 310 for Gossage and 300 for Sutter). How exactly are two of these three guys Hall of Famers while Henke got exactly 6 votes out of 515 his first time on the ballot? These voting patterns just seem drastically inconsistent. All the above though pales in comparison to what we’re about to see. Jack Morris: on current ballot, his 14th attempt. Max votes: 67.7% this year. Steve Carlton: 1st ballot HoFamer in 1994 with 95.6% of the vote. Dave Stewart: fell off HoF ballot on his 2nd attempt in 2002. Max votes: 7.4% in 2001. Frank Viola: fell off HoF ballot on his 1st attempt in 2002 with 0.4% of the voting. 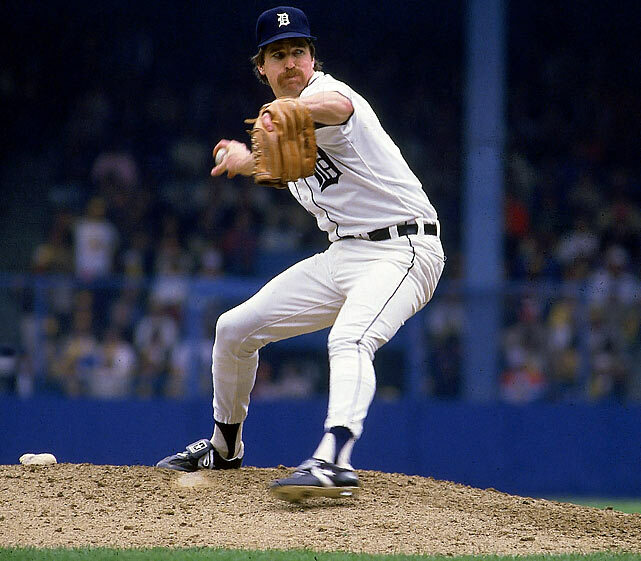 Rick Sutcliffe: fell off HoF ballot on his 1st attempt in 2000 with 1.8% of the voting. Dave Steib: fell off HoF ballot on his 1st attempt in 2004 with 1.4% of the voting. Bob Welch: fell off HoF ballot on his 1st attempt in 2000 with 0.2% of the voting. Brett Saberhagen: fell off HoF ballot on his 1st attempt in 2007 with 1.3% of the voting. Orel Hershiser: fell off HoF ballot on his 2nd attempt in 2007. Max votes: 11.2% in 2006. Dwight Gooden: fell off HoF ballot on his 1st attempt in 2006 with 3.3% of the voting. Mike Scott: fell off HoF ballot on his 1st attempt in 1997 with 0.4% of the voting. Rick Reuschel: fell off HoF ballot on his 1st attempt in 1997 with 0.4% of the voting. Fernando Valenzuela: fell off HoF ballot on his 2nd attempt in 2004. Max votes: 6.2% in 2003. Nolan Ryan: 1st ballot HoFamer in 1999 with 98.8% of the vote. Denny Martinez: fell off HoF ballot on his 1st attempt in 2004 with 3.2% of the voting. Bert Blyleven: 14th ballot HoFamer in 2011 with 79.7% of the vote. Jimmy Key: fell off HoF ballot on his 1st attempt in 2004 with 0.6% of the voting. Ron Guidry: fell off HoF ballot on his 9th attempt in 2002. Max votes: 8.8% in 2000. John Tudor: fell off HoF ballot on his 1st attempt in 1996 with 0.4% of the voting. Roger Clemens: on current ballot, his 1st attempt. Max votes: 37.6% in 2013. Here is where I think I really have a problem with the Hall of Fame treatment players in the 1980s; I think the entire generation of Starting Pitchers has been generally underrated and overlooked. Look at this list of pitchers and look at the number of guys who failed to even stay on the ballot for more than one season. Meanwhile, you can argue that the three guys who ARE on this list who are in the Hall of Fame (Carlton, Ryan and Blyleven) all actually “belong” to the 1970s; they just happened to have longer careers that bled into the 1980s. Clemens appears here because his late 80s debut was so strong but clearly he’s a player of the 90s, and his reasons for non-inclusion thus far are obvious. Do you mean to tell me that NONE of these other 1980’s starters merits inclusion to the Hall of Fame? That an entire decade of starting pitchers doesn’t historically merit inclusion? I’m not going to argue that all (or most) of these players belong, but it is kind of shocking that so many of the leading pitchers of that era were given so little consideration. Pretty close, no? Saberhagen contributed more WAR and was nearly this player’s equal in ERA+, which adjusts to the eras. Mystery player’s W/L record is better … but then again, havn’t we learned that wins and losses are meaningless stats now? A couple more facts here: Saberhagen won two Cy Young awards while the Mystery player won Three. Saberhagen led the league in ERA just once while Mystery player did it 5 years in a row. The Mystery player here (if you havn’t already guessed) is none other than Sandy Koufax. Now, I’m certainly not saying that Saberhagen is the equal of Koufax, certainly not when you look at Koufax’s last 5 seasons or his 4 no-hitters. My point is this: Koufax was a first ballot hall of famer … and Saberhagen got 7 votes out of 545 ballots. Saberhagen may not be a Hall of Famer but he deserved to be in the discussion longer than he was. Others have mentioned the lack of support for Dave Steib, who had a relatively similar statistical case to Saberhagen. Similar career bWAR (53.5), similar ERA+ (122), and similar injury issues that curtailed his career. Steib’s award resume isn’t as impressive (zero Cy Youngs but 7 All-Star appearances in his first 11 seasons), and he was basically done as an effective player by the time he was 33. There are some other surprises on this list too. Jimmy Key you say? Go look at his career stats and you’ll be surprised just how good he was. 186-117, a 3.51 ERA (which sounds mediocre) but a career 122 ERA+. A couple of stellar seasons (two 2nd place Cy Young votes). I’m not saying he’s a hall of famer, but I am saying that he was better than you remember. There’s absolutely pitchers in the Hall with worse ERA+ than Key’s. Coincidentally, you can make the argument that many of these players really “belonged” to a different decade, if you wanted to really just focus this discussion on the 1980 decade. Fisk, Boone, Conception, Parker, Lynn, Rice, Garvey, Carlton, Ryan, Reuschel and to a certain extent Winfield were really players who mostly “belong” in the 1970s. Blyleven and Brett’s careers equally spanned both the 70s and 80s. Gooden, Van Slyke, Puckett, McGwire, Clemens and Pendleton had careers that started the late 80s but who flourished mostly in the 1990s. But, I think the point is made, especially when it comes to pitchers. So I left all these players in. Here’s a couple other ways to look at the best players of the 1980s. Here’s a list of the top 20 positional players by “Win Shares” for the decade (data cut and pasted from an online forum). As with above, blue=hall of famer while red indicates not. Most HoFame pundits lament the lack of support for Raines specifically, but it is interesting to see how high up both Murphy and Evans fall on this list. Now, here’s Pitcher WAR accumulated in the 1980s. I took this data from a posting on BeyondtheBoxScore blog back in 2010, who was arguing (of course) why Jack Morris didn’t deserve to be in the hall of fame. However, the table here also illustrates nicely who were really the best pitchers of the decade, and most of these guys are in the list above. I’m not sure why he ran this list to 21 players; perhaps he really likes Mark Gubicza. Notice the same 3 names appear here as appeared above for Hall of Fame starters. Also notice the surprisingly high appearances of players like Soto and Higuera; I didn’t even include them in the above analysis, perhaps providing my own bias because certainly I wouldn’t have included these two in any conversation about the best pitchers of the 80s. But the point is now made statistically; of the 20 best pitchers by WAR for the entire decade, only 3 are enshrined in the Hall. I havn’t done this analysis for other decades but I’d be surprised if other decades were so underrepresented. Think about how many obvious hall of famers pitched in the 1990s; Just off the top of my head: Clemens, Mussina, Maddux, Glavine, Smoltz, Johnson, Pedro, Schilling and perhaps eventually Hoffman and Rivera. Maybe guys like Cone and Pettitte deserve more thought. Lee Smith is still on the ballot. That’s a lot of names for one decade as compared to what’s happened to the 1980s guys. Why are there so few starters from this era enshrined? Did we just see a relatively mediocre time period in baseball with respect to starting pitchers? Did we just get unlucky with the longevity and injury issues related to the best pitchers of the era (Hershiser, Saberhagen, Steib)? Did changes in bullpen management that came about in the 90s (lefty-lefty matchups and more specialized relievers) combined with increasing awareness/sensitivety to pitch counts (100 pitches and you’re out) contribute to this fact? If you’re a starter and the assumption is that you’re pitching 9 innings no matter what your pitch count is, you’re going to approach the game differently and pitch with a different level of effort than if you knew you were getting the hook after 100 pitches and/or in roughly the 6th or 7th inning. Did this contribute to more mediocre-appearing ERAs for starters of this era? Is that a good argument to use, as compared to 90s’ and modern pitchers who go all-out for 7 innings and then sit (versus starters of the 90s, who would often face the 3-4-5 of the opposing team a FOURTH time in the late innings while sitting on 140 pitches)? Here’s Tom Boswell‘s weekly Monday chat on 11/28/11. Of the baseball questions he took, here’s how I’d have answered them. With the Wizard’s 0-8 start there’s a lot of kvetching about NBA. As always, questions are edited for clarity and I write my own answer prior to reading his. Q: What is your “take” on Ross Detwiler and could he become a better pitcher than Gio Gonzalez? A: My “take” on Ross Detwiler is that he’s too frail to stay healthy long enough to be counted on for heavy-duty innings, and that he throws too much across his body to get his breaking stuff to work properly. Now, throwing across your body isn’t a bad thing (see Johnson, Randy) but Detwiler’s never been consistent long enough to be anything more than an emergency/late season starter for this team. Can he be better than Gio Gonzalez? Not really; Gonzalez is only a year older but has 60 more MLB starts, an all-star appearance and the talent to win 20 games in the AL. If Detwiler was really that promising … we wouldn’t have acquired Gonzalez in the first place. Boswell says the team likes Detwiler, but Johnson likes a lefty heavy rotation in this division. But the team already has 5 starters signed to major league contracts, so I can’t see how Detwiler wins anything more than a bullpen spot. 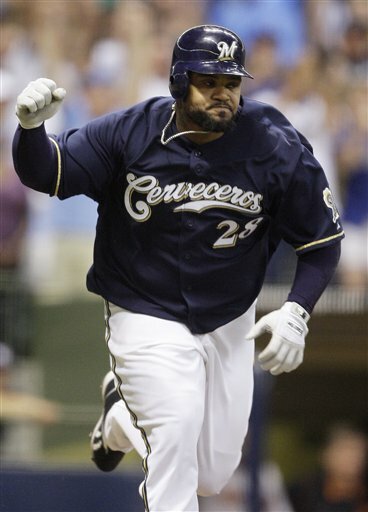 Q: Is Prince Fielder really coming here? Why is there so little market for him? A: I’ll answer the 2nd part first; there’s so little market for Prince Fielder for several reasons. If you look at the top payroll clubs, basically every team either has a long-term 1B commitment (names like Mark Teixeira, Ryan Howard, Adrian Gonzalez, Albert Pujols, Paul Konerko, Justin Morneau, and Miguel Cabrera) or is dealing with topped-out payroll or financial issues (Mets, Giants, Dodgers) that are preventing them from purchasing a big-money star. So lots of your usual suspects are out. He’s left trying to convince mostly 2nd-tier payroll clubs to spend like first tier clubs. His agent Scott Boras is generally the “lets wait and try to build a crescendo of rumors” type of agent. It has clearly worked in the past … but it doesn’t seem to be working now. I think Boras’ strategy has run its course to a certain extent and teams are wary of the “mystery team” in on these major players. Fielder isn’t exactly an adonis of a physical specimen. He’s got a bad body, hasn’t really shown that he can control his weight, and has a pretty good barometer of his future physical condition in the form of his MLB playing father Cecil Fielder. Prince may be young and may clearly be a top5 hitter in the league, but teams are not going to want to put up 8 year commitments for a player who may be washed up by the time he’s 34. To make matters worse, Prince is a below-average first baseman AND only a handful of teams have available money and available DH spots. Frankly, I think Prince needs to sign a shorter term deal with high AAV, get a team like the Nats to commit and then re-hit the FA market at age 30-31 when he’ll still have value. Now, is he coming to the Nats? If I was Mike Rizzo i’d sign him in a heartbeat for 3yrs/$75M. I’d balk at an 8-year deal. But, the rumors persist and have been swirling for more than 2 weeks. So where there’s heat, there’s likely fire. Boswell says that the key date is Jan 18th, the day that the Rangers either sign or cut bait on Yu Darvish. If the Rangers suddenly have $120M that they didn’t think they’d have yesterday, they will sign Fielder. Q: Baseball is set to announce their HOf inductees for 2012 today. Anyone you feel strongly about that should get in? What are your thoughts on Dale Murphy and Don Mattingly? Who I believe SHOULD be in the Hall: Jeff Bagwell, Jack Morris, Barry Larkin, Tim Raines, Mark McGwire, Edgar Martinez. What do I think about Murphy and Mattingly? Both suffer from more or less the same issue: they were both great players for very short amounts of time. Murphy was a better player all in all than we remembered and for four seasons (82-86) was probably THE best player in the game. Mattingly retired at 33 and was solid but had the same 4-year excellence followed by less flashy seasons. They’re good players who weren’t transcendent enough to get their own plaques in Cooperstown. Boswell mostly agrees with the above. Q: What do you think of this scenario: Fielder signs elsewhere, LaRoche starts out hot, we flip him to Tampa for Upton as Harper takes over in RF and Morse moves to 1B. A: Sounds great. Except that this scenario really only serves the perfect world desires of the Nationals. In reality LaRoche is a slow starter and we may really hear the boo-birds early. Morse was great in 2011 but most predict a sliding back. Harper probably needs some MLB adjustment time. We’ll see what happens. Boswell likes this scenario. Sure, who wouldn’t? But it does sound a bit too convenient. Q: Is there ANY chance Boras goes for something like 3yrs/$75mil for Prince? A: Yeah, I think there is a chance, as described above. He’ll push for longer though until the last possible minute, so this won’t play out for a while and we’ll continue to hear rumors for weeks. Boswell says it’ll “never happen.” And lays out a doomsday payroll scenario for the team. Which I don’t entirely buy; we’ve been at $60-65M in payroll for 6 years … despite being in a very wealthy market. At some point, this team will be good, will draw fans to the park and will increase revenues. And the payroll should rise to reflect that. Q: Where are the Nats finding the (approximately) 60 runs they’ll need to add (assuming pitching stays constant) in order to go from 80 to 90 wins? A: A good question. Some from Zimmerman, some from LaRoche, some from natural improvements from Desmond, Espinosa, and Ramos, and some from a rebound year from Werth. That’s a LOT of assumpions. Fielder would *really* help in the run creation department (he created 35 more runs than Morse last year … that’d be 5-6 wins all by himself). Boswell echos much of the above. Q: Where do you (as an assumed HoFame voter) draw the line between admitted and suspected when it comes to steroids and the HOF? A: If it were me, I’d go based on existing evidence. That’s all you can do. And the Mitchell Report is not really “evidence,” but more heresay and he said-she said. So Palmeiro and McGwire have some warts. Bagwell does not and it is generally unfair to lump him into the steroid-poster boy club. Boswell agrees with the above … too bad he doesn’t have a vote to defend year after year. Q: Given what we now know about the Steroid era, is there any reason to suspect Cal Ripken of using? A: (The allegation also being that Ripken was friends with Brady Anderson, whose 50 homer season seems awfully suspicious in hind-sight). Nobody’s ever said a word about Ripken and PEDs. 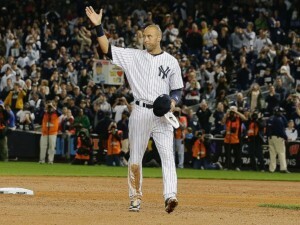 You have to think he was well aware of his legacy the closer he got to 2130 games. I’d be shocked if he was shown to be a user. Him and Derek Jeter would be probably the two most shocking PED revelations in the history of the game, if they turned out to be true. Boswell doesn’t think Ripken profiled to a typical user. Q: Why isn’t there more narrative about how the Werth contract is really killing this team, when considering the future payroll implications of having Werth, Zimmerman and Fielder potentially signed to long term, $20M+ AAV contracts? A: I’m sure it is internally. It certainly is everywhere else in the blogosphere. The Werth contract is pretty indefensible, certainly was at the time it was signed and is even more so now. I just hope the guy has a bounce back season and really contributes. Q: How does the TV money rise so much in the MASN deal? Aren’t viewer numbers abhorrent? A: Good question. I don’t know. Boswell has the answer; the contract is tied not to revenues or ad money, but to comparable RSN sizes in other markets. And right now Houston and Dallas (our two closest sized cities) get 2-3 TIMES the money out of their RSNs. I cackle at watching Angelos have to write checks to the Nats, but really wish they’d cancel the contract altogether. I hate the fact that we’re enriching Angelos day after day. Q: Why do the HoFame voters suddenly agree to induct a player? If he’s good enough on the first ballot, he should be good enough on any ballot. A: Because there’s a cache to being a “First Ballot Hall of Famer” and LOTS of voters exclude guys on the first vote as a result. There’s never been a unanimous selection, and there never will be. But there’s plenty of guys who were very good players who got in on #2 or #3 ballot. Guys like Blyleven and Rice who languish for a decade on the ballot are rare. Boswell agrees. Q: Is Toronto a more likely landing spot for Fielder, since they were all-in for Darvish and lost out? A: Makes sense frankly. They could be sensing weakness in the Boston and Yankees lack of activity this off-season … Boswell says it makes sense but makes a good point; does Fielder want to commit to Toronto, knowing they’ll get outspent year after year by Boston and New York? Does he commit to a team that hasn’t made the playoffs since the divisions split? Would you? Q: How similar is Harper’s call-up situation to Mickey Mantle’s situation? A: Not very. Completely different baseball climates. Harper has his millions already, and there’s very specific service time implications. Mantle played under the reserve clause, there was no service time issues, no arbitration, no free agency. So the Yankees could do whatever they wanted with him year after year. Boswell doesn’t really comment. Q: Does Fielder make sense if the Nats are planning on building a cost-controlled dynasty? The 1998 yankees didn’t have any 30-homer players, let alone a big bopper at $25M/year. A: Fair. Lots of Nats bloggers keep coming back to the payroll implications of Werth, extending Zimmerman and buying Fielder. And they’re fair. That doesn’t even talk about what to do with other big-time stars we have to deal with potentially. But i’ll respond by saying this; we don’t KNOW what the owner’s payroll limits are. All we have to go by is the past payroll figures. What if this team is just biding its time before blowing out payroll to $120M? Boswell says this is well put and signs off.